Marie Kondo mental health; decluttering and feminism radio chats with Sharon Chisholm. Marie Kondo’s ‘Tidying Up’ on Netflix has folks across the globe rolling their clothes into tiny balls; women stepping back from taking the entire responsibility for a household; and masses of people decluttering like there’s no tomorrow. But the show has some popping on their cranky pants. 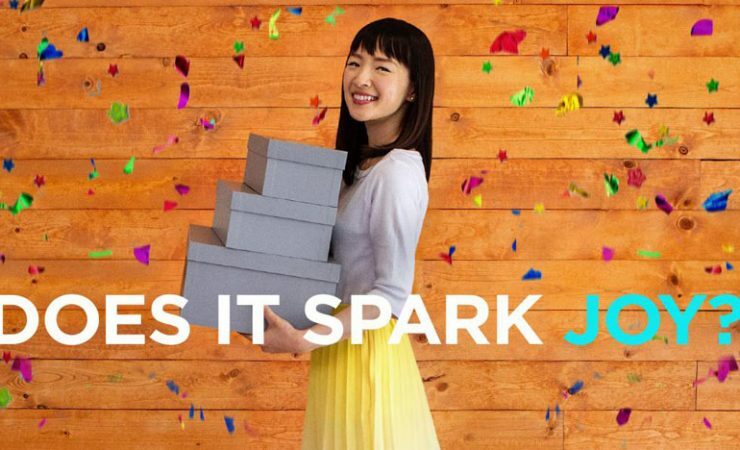 Should our stuff should ‘spark joy’? What do masses of clutter say about consumerism in our society? Where are we putting all of our de-cluttered items? And our precious books- is she telling us to get rid of OUR BOOKS??!!! Nicole examines the KonMari craze in depth on The Binge on 2 Triple B community radio with her very special local guest Sharon Chisholm. Sharon is a women’s coach; an outspoken advocate for people with Bipolar and reducing the stigma of mental illness. She appeared on SBS last year in ‘How Mad Are You?’ She also started a decluttering group on Facebook less than a week ago that already has over 700 members (and counting). But what does mental health have to do with ‘Tidying Up’? Sharon talks in depth with Nicole about the overwhelming positivity in the group, how the members are dealing with all the ‘decluttered’ stuff (no they’re not just clogging up Vinnies), and the exhilaration turned to shame many people experience around consuming ‘to feel better’. Pps: Get in touch with me here if you’re looking for support to deal with your own consuming and mental health.